There is plenty to be angry about when you’re watching TV: commercials, louder-than-necessary theme songs, and more commercials. The Smash Mute is a gigantic button that lets you shut up the television while taking out some of your aggression on an inanimate object. 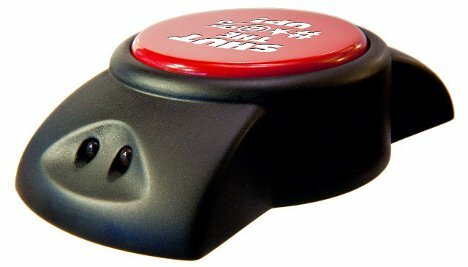 The giant button is essentially a remote control with just one function: mute. 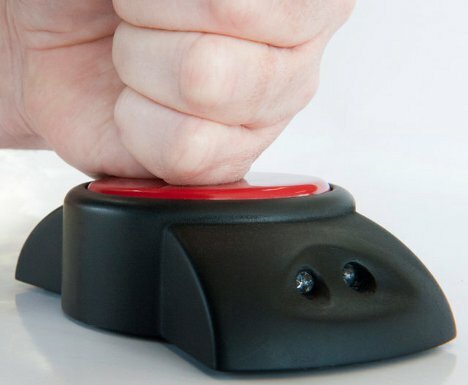 When you smash the big red button with your fist, it turns the TV sound off until you smash that button again. You can avoid all of the worst parts of prime time without fumbling around for the appropriate button on your regular remote. So maybe it’s not a Nobel Prize-winning concept, but it would make for a funny gift for someone who is always reaching for the “mute” button to silence those wicked marketing messages that interrupt TV time.